Social Impact-athon, an intensive weekend project to learn about environmental justice and local organizations that support it, evaluate their priorities and needs of the community, and award grant funding. Contact Christine Oka or Roxanne Palmatier, Social Science Librarians at Snell Library. 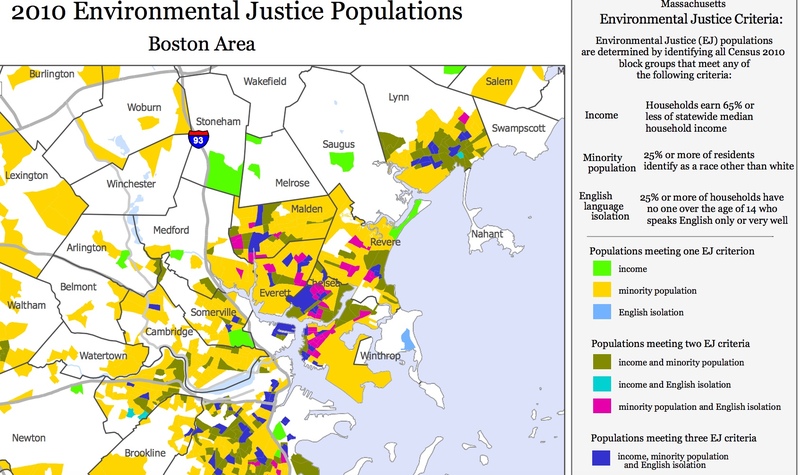 In Massachusetts, an Environmental Justice community is identified by three criteria: income, size of minority populations, and English language isolation. 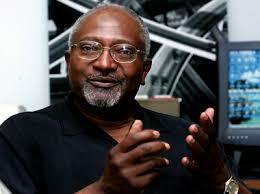 Robert Bullard is known as the "father of environmental justice." Click on his picture to read an introductory essay on environmental justice from the International Encyclopedia of the Social and Behavioral Sciences. WBUR aired a 12 part series on climate change in the Boston area. Read or listen.